Comment: Solid copy with some shelf wear and/or markings scattered throughout. Slip-and-fall accidents are a growing problem. The total cost of these accidents now approaches 80 billion dollars each year, and that number is expected to double within the next decade. 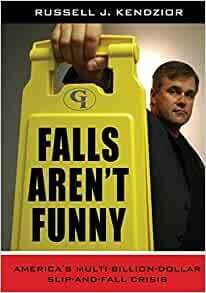 In Falls Aren't Funny: America's Multi-Billion Dollar Slip-and-Fall Crisis, author Russell J. Kendzior provides a comprehensive look at one of the most pervasive yet seldom addressed problems facing our world today. The book's three parts explore slips-and-fall accidents themselves, what causes them, and what can be done to prevent them. Kendzior begins by examining the financial costs, the industries hardest hit by slips and falls, and the heightened risk to the elderly population. He then looks at the causes for the numerous slip-and-fall accidents and injuries, from inadequate floor care to improper footwear, and the contributions of the insurance, legal, and manufacturing industries and how they worsen the problem. Finally, he outlines what can be done to prevent slip-and-fall accidents, and how everyone from manufacturers, to property owners, to the general public can help to reverse the trend of this increasingly expensive and dangerous problem. The book is replete with stories of real slip-and-fall accidents and injuries, up-to-date statistics, illustrative charts, and tips for prevention. It is comprehensive, dealing with all aspects of slip-and-fall accidents, their causes, and methods of prevention, while also being accessible and entertaining. It is an informative and much needed book for all managers, safety professionals, attorneys, business and property owners, and anyone else concerned with one of the nation's fastest growing safety crises. 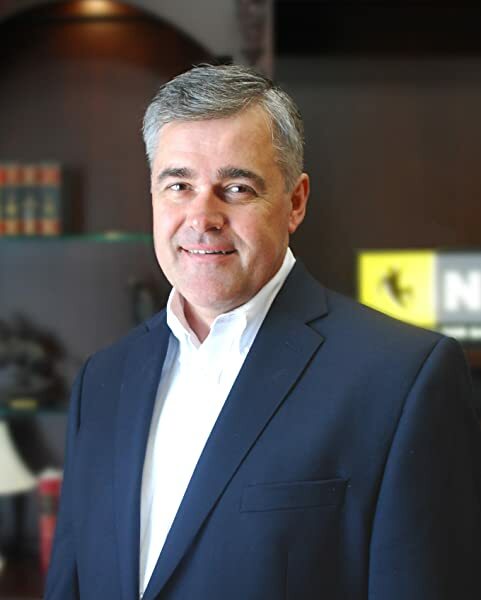 Russell J. Kendzior is the President of Traction Experts, Inc. and founder of the National Floor Safety Institute (NFSI). Internationally recognized as the leading expert in slip, trip, and, fall accident prevention, Mr. Kendzior has been retained in over 400 slip, trip, and, fall lawsuits. Start reading Falls Aren't Funny on your Kindle in under a minute. While seemingly well-researched, this "book" reads and looks much more like a series of cobbled together PowerPoint presentations that cover floor safety issues but offer little in the way of recommendations or solutions. If you are seeking information to make your place of business safer for your customers and employees, look elsewhere. This is an excellent book. The author informs us of the important standards, codes, and industry regulations everyone, and especially business owners, should be aware of to make their premises safer. Any attorney representing people injured by individuals or companies who disregard common sense safety practices should also read this book. This is a very informative book, written by one of the few real experts in the field. It should beread by anyone who owns a businness, does business with the public, and has to make sure customers and employees are safe.